Bluestone pavers are so versatile and our customers have used our bluestone in some truly amazing projects. 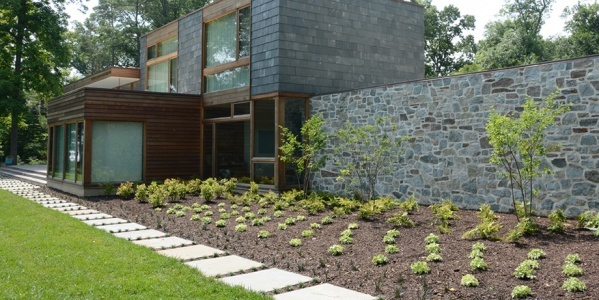 Check out our bluestone gallery for inspiration for your own projects. Have pictures of our bluestone that you want to be featured on our website? Contact us! 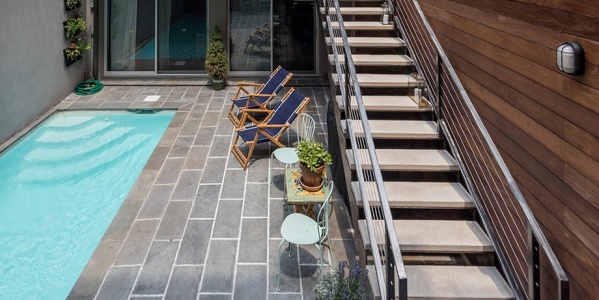 This NYC townhouse with a classic stoop entrance features Sandy Neck’s bluestone for the walkway. The entire rear yard was also repaved with bluestone around the lap pool. 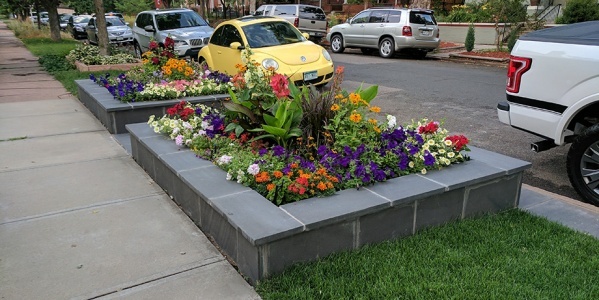 This customer used our bluestone pavers to make raised garden beds for their classic New England home. 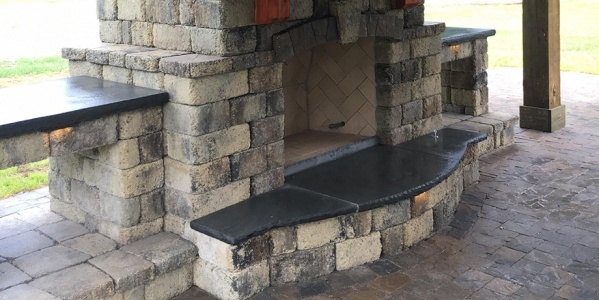 This mason used our dark bluestone pavers as an accent for their outdoor fireplace hearth and kitchen countertop. The architecture firm that designed this unique river retreat used our large bluestone pavers for the walkway around the patio and front of the house.